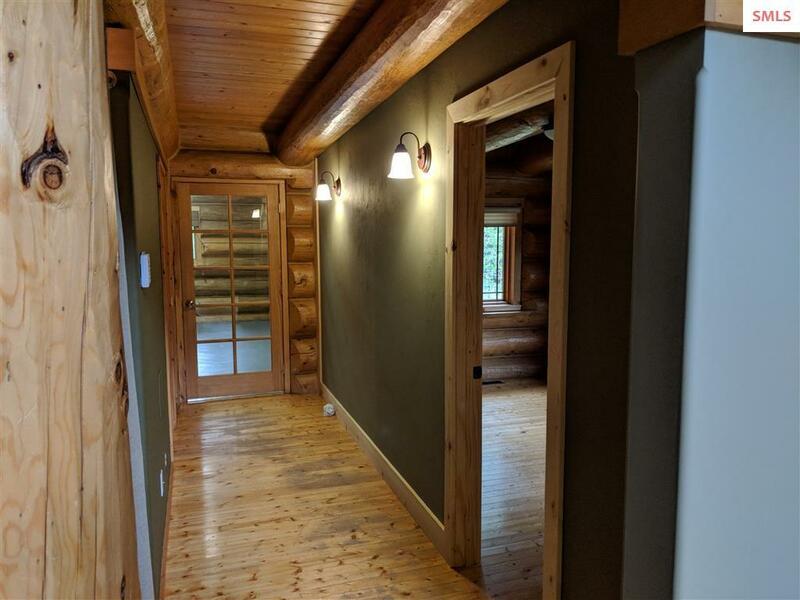 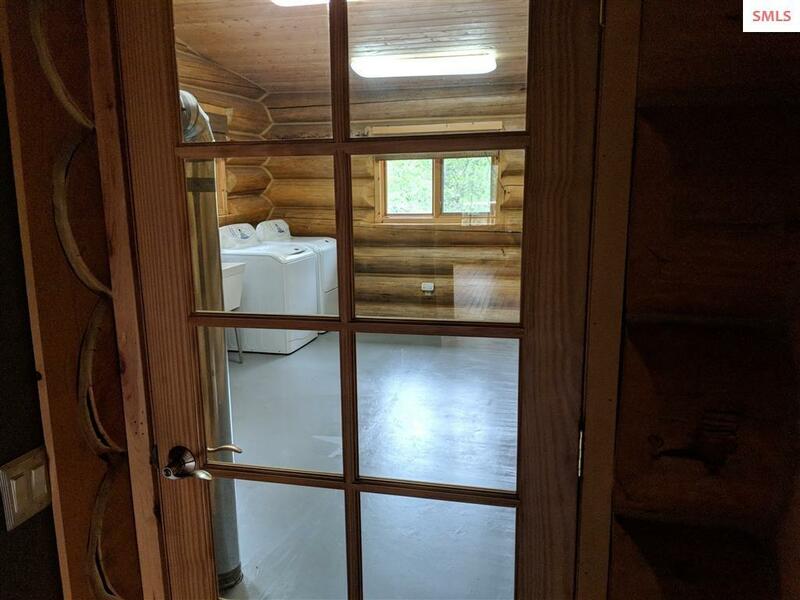 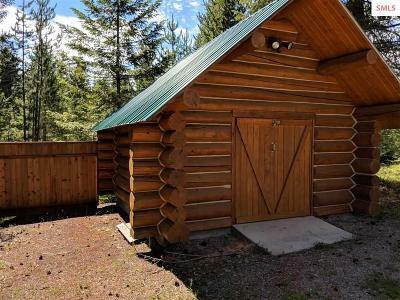 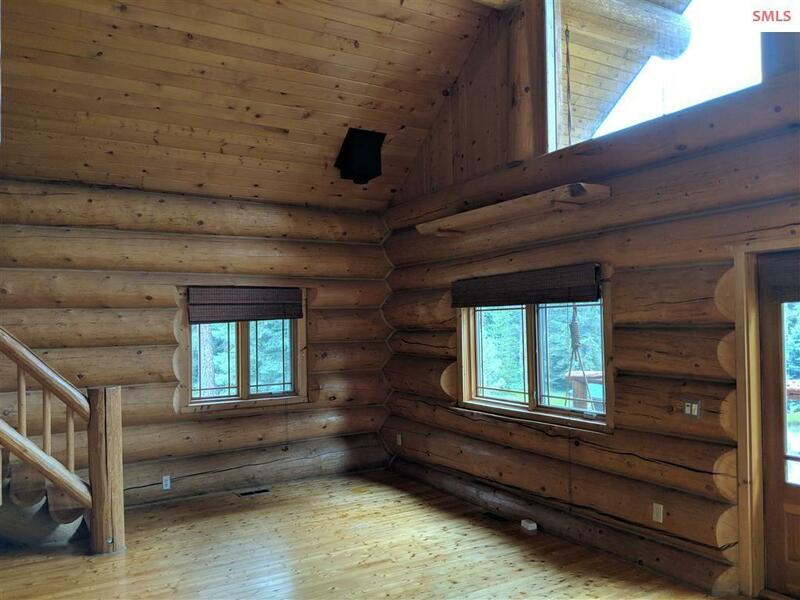 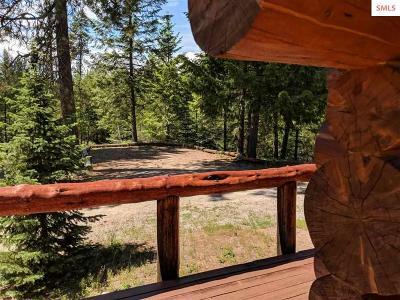 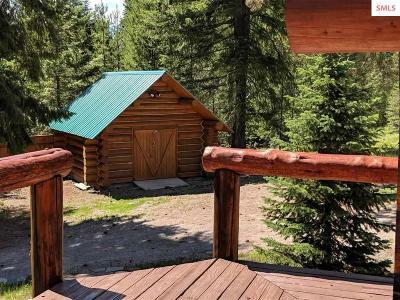 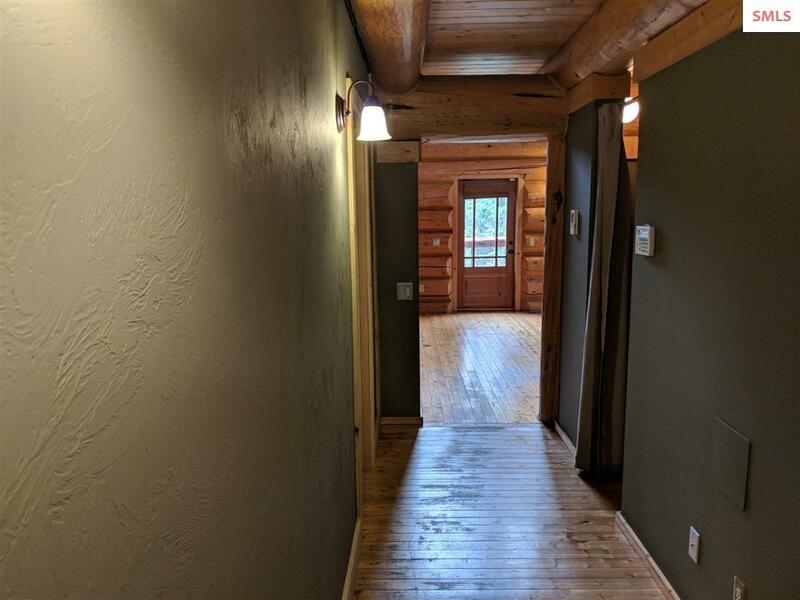 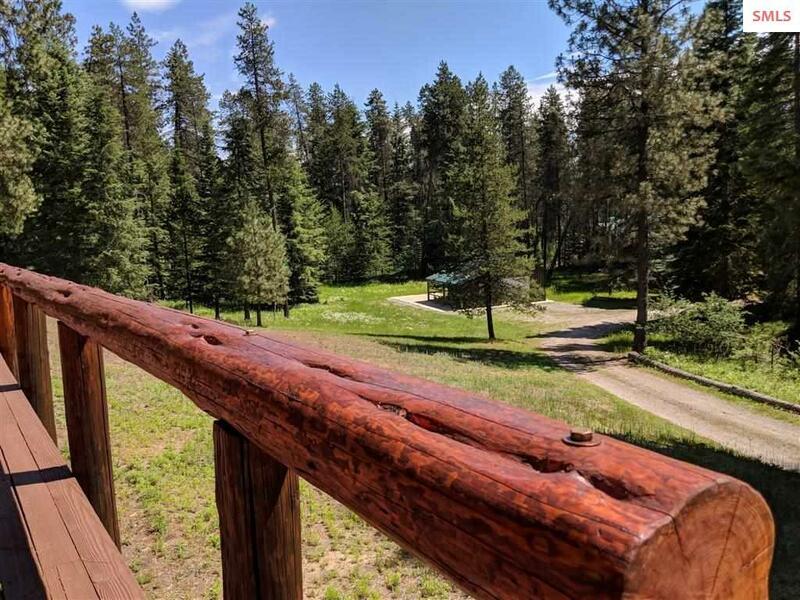 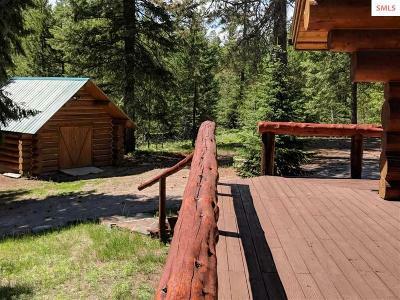 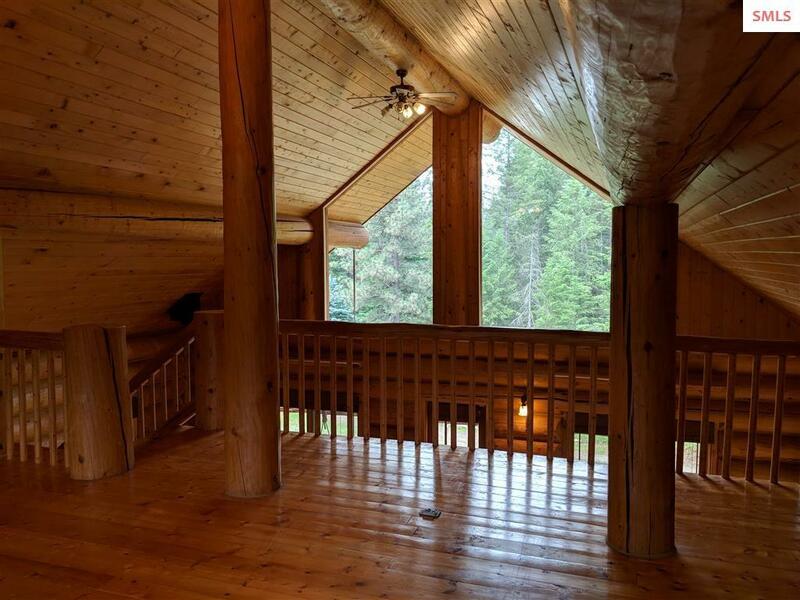 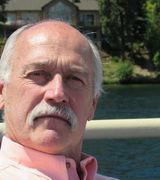 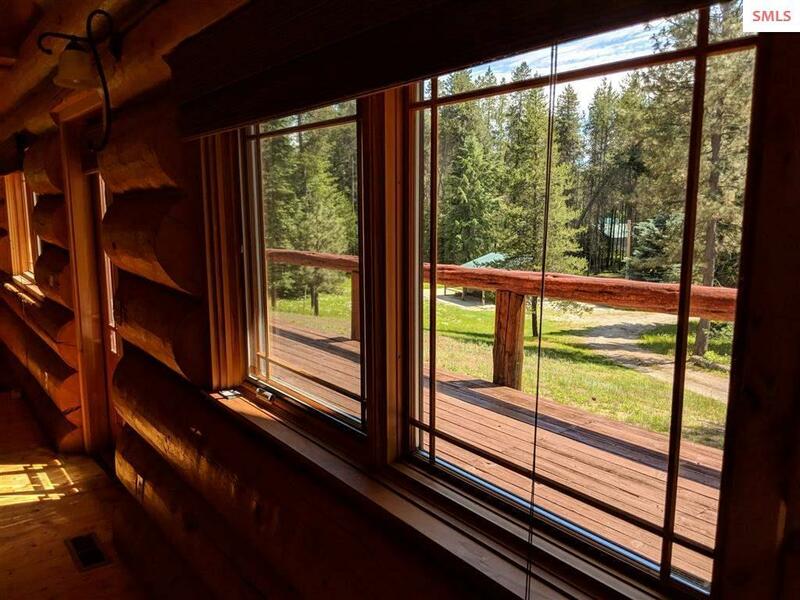 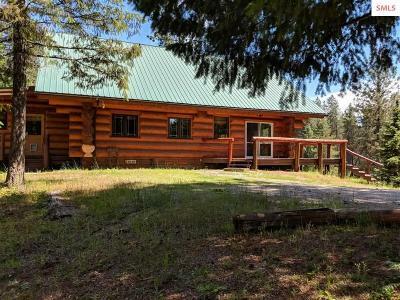 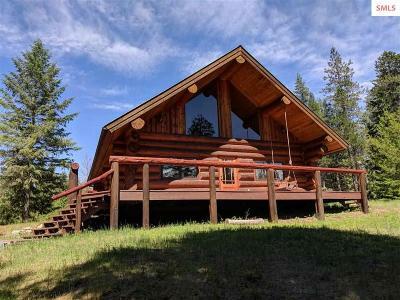 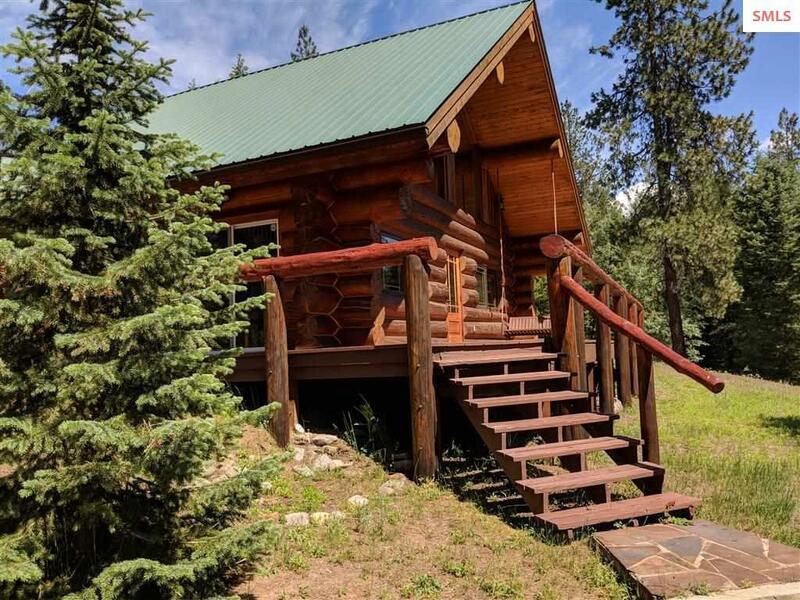 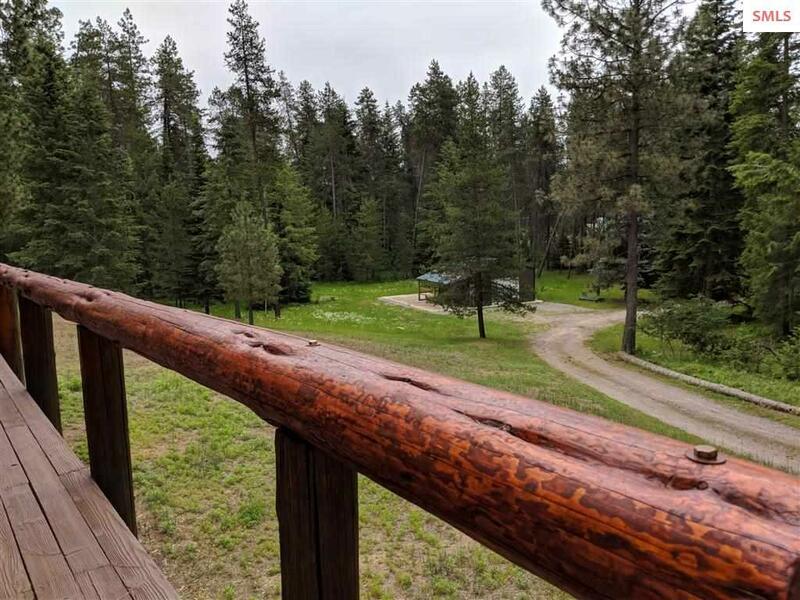 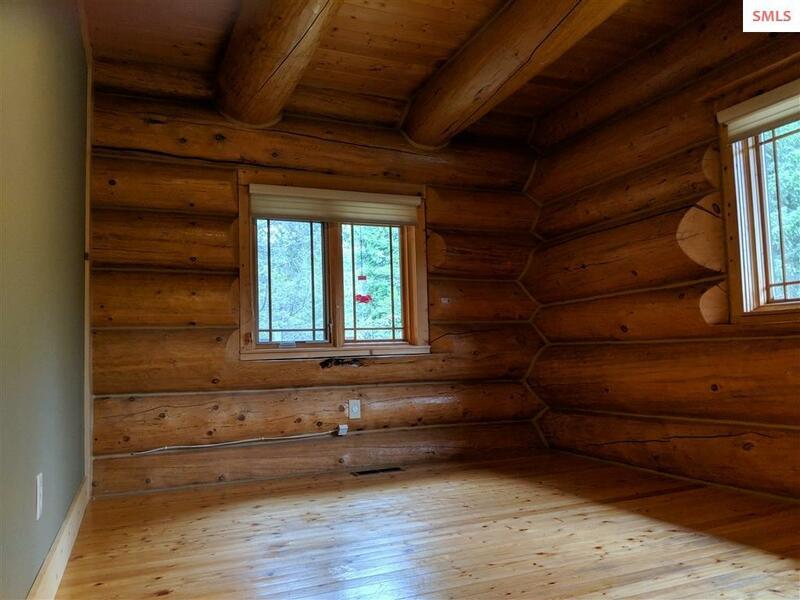 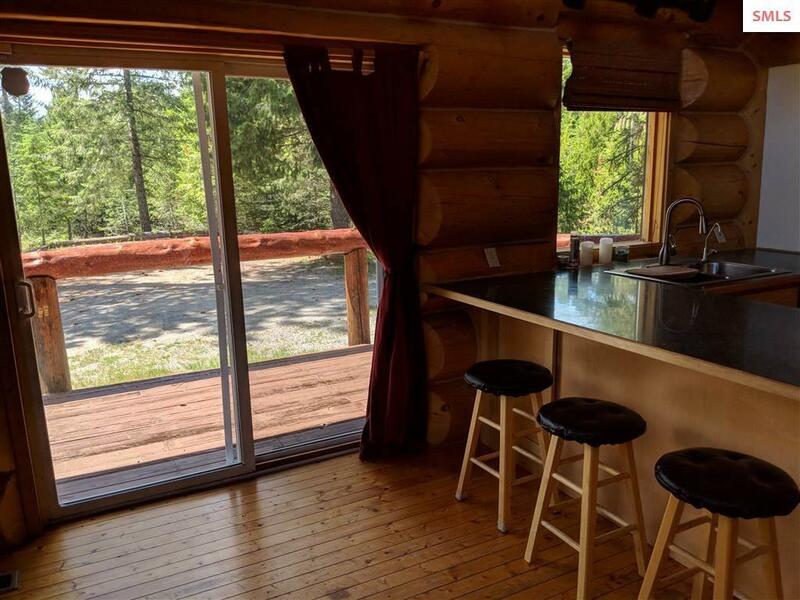 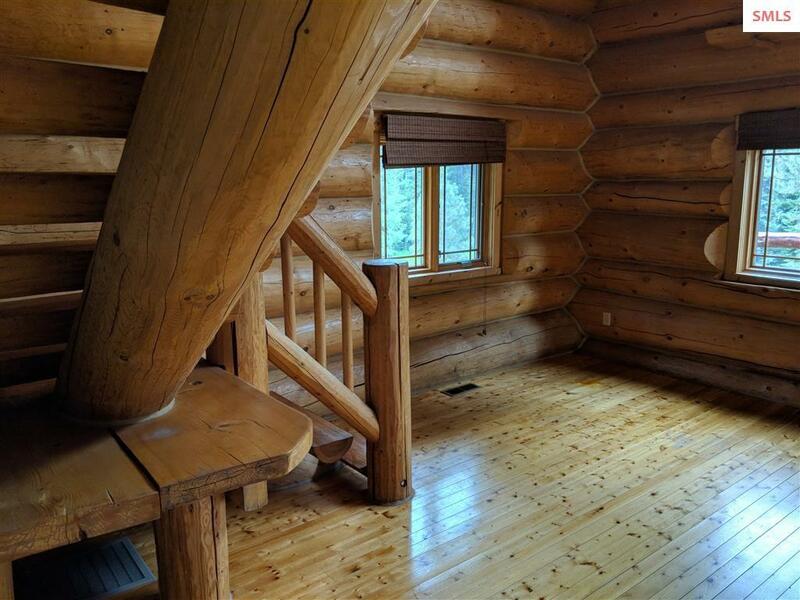 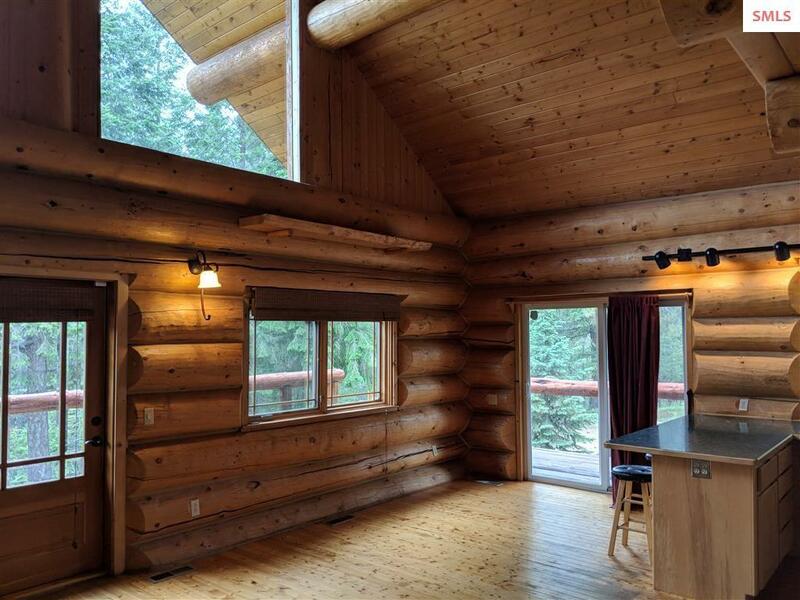 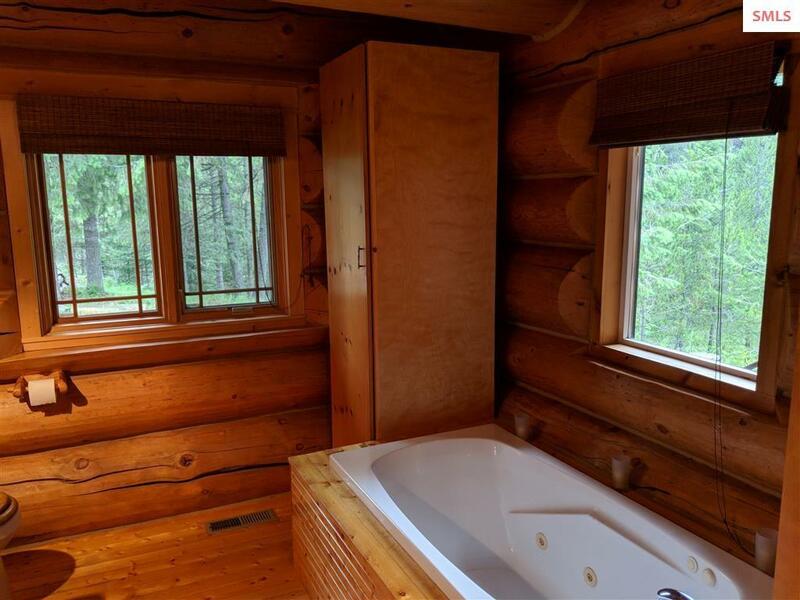 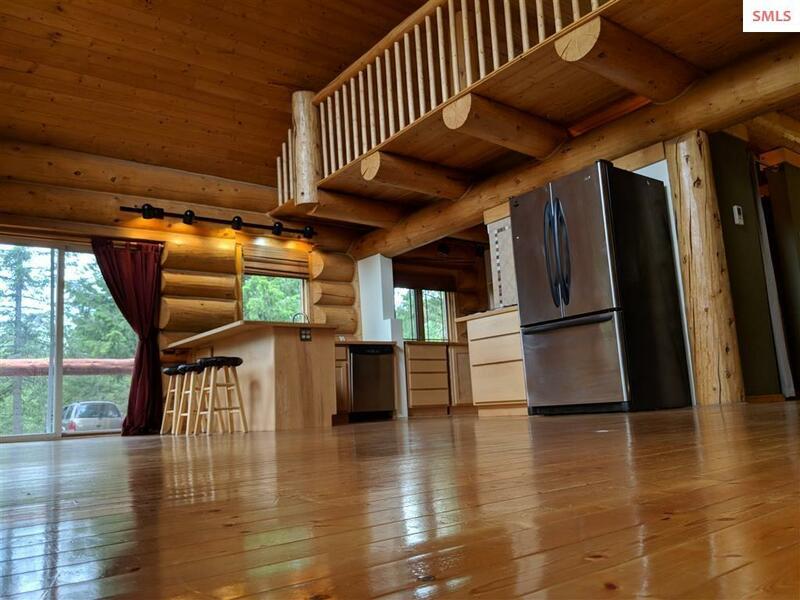 NORTH IDAHO LOG HOME ON 5 ACRES! Over sized logs add to the ambiance and rustic feel. 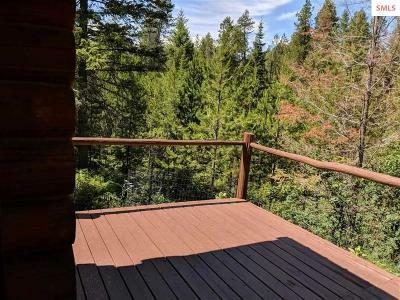 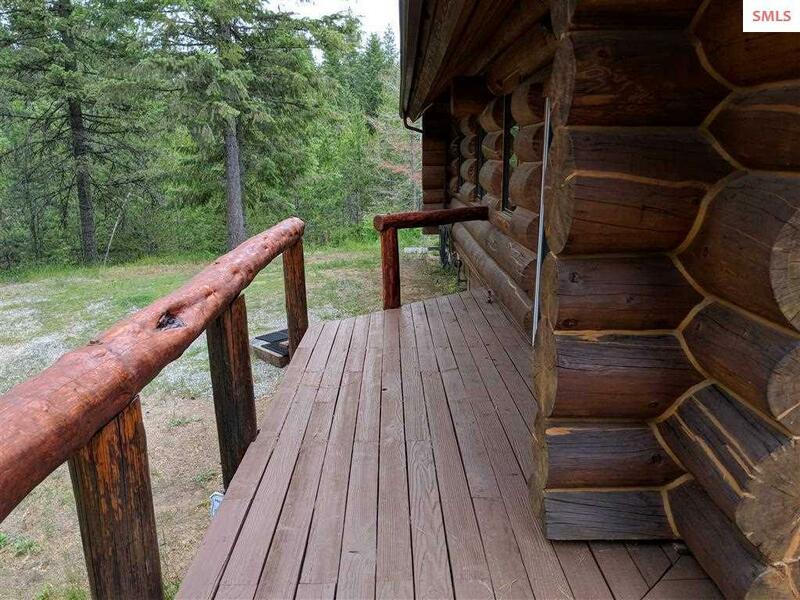 Large deck to enjoy the sunsets from, or the wild life on your private 5 acres. 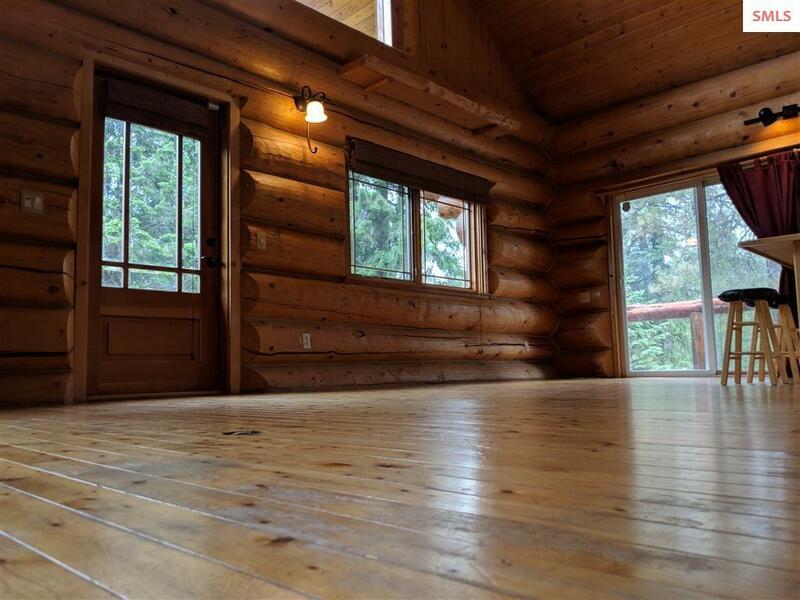 Step inside to the open living room / dining room with wood floors. 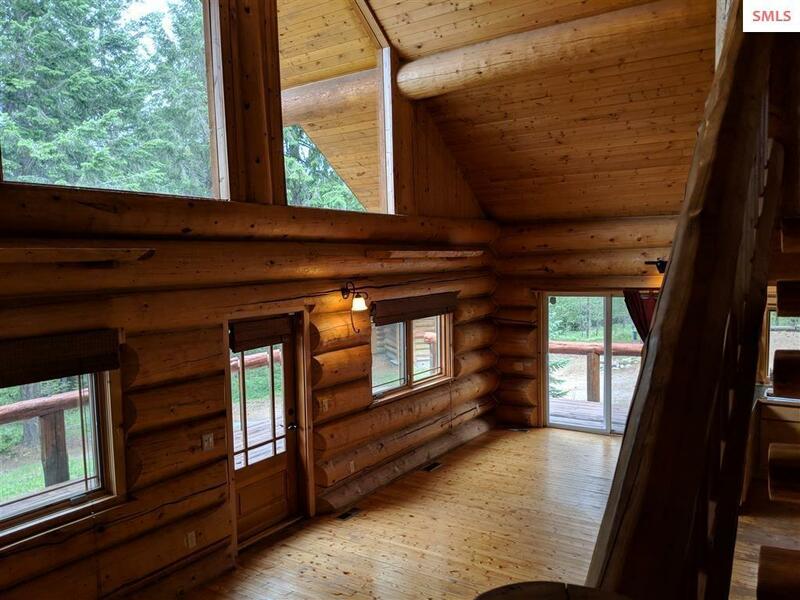 Log wood accents and wood flooring glow with an inviting warmth from the natural light shining thru the large front side windows, top to bottom. 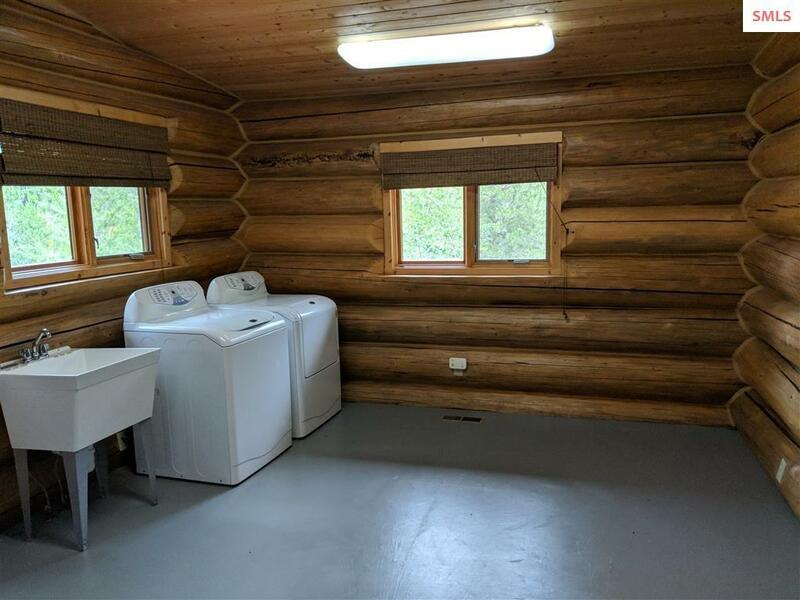 A large master bedroom and bathroom with a separate laundry room make for main floor living if desired. 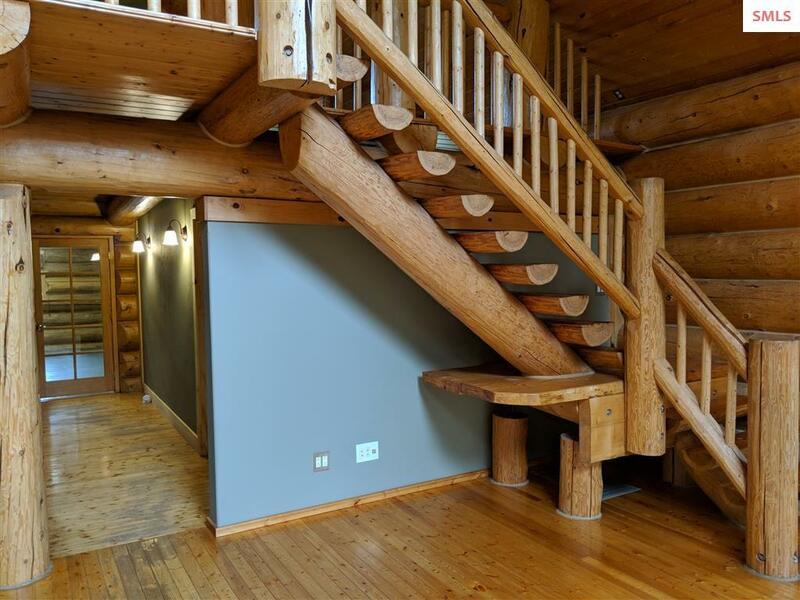 Step up the beautiful log stairway to the loft/bedroom. 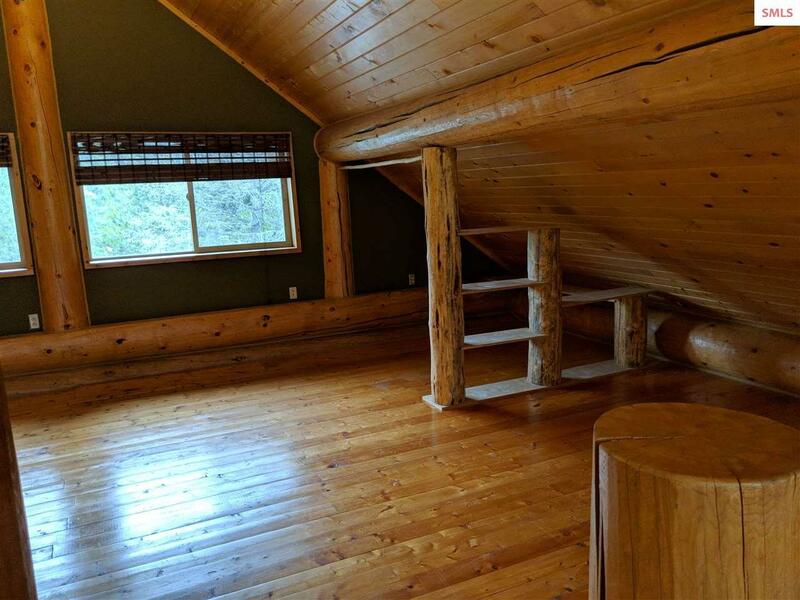 Loft currently one large area with many possibilities to work with, or leave as is. 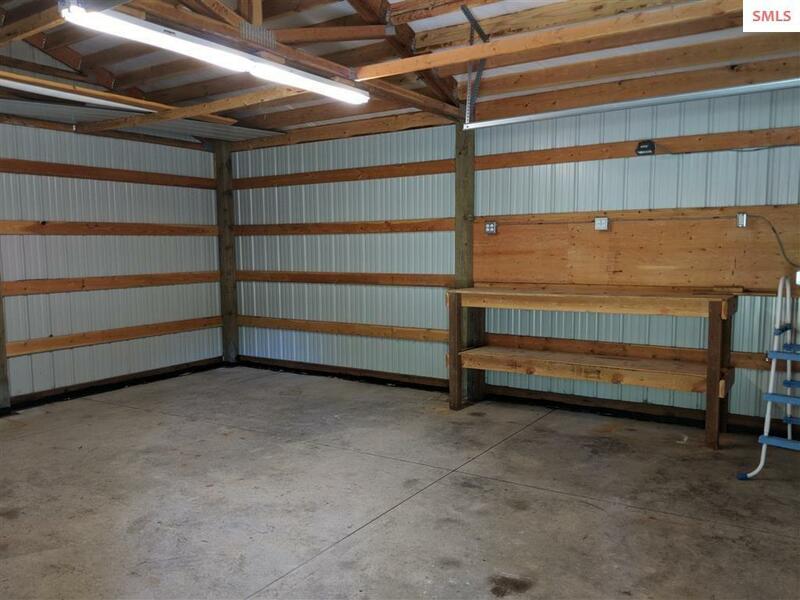 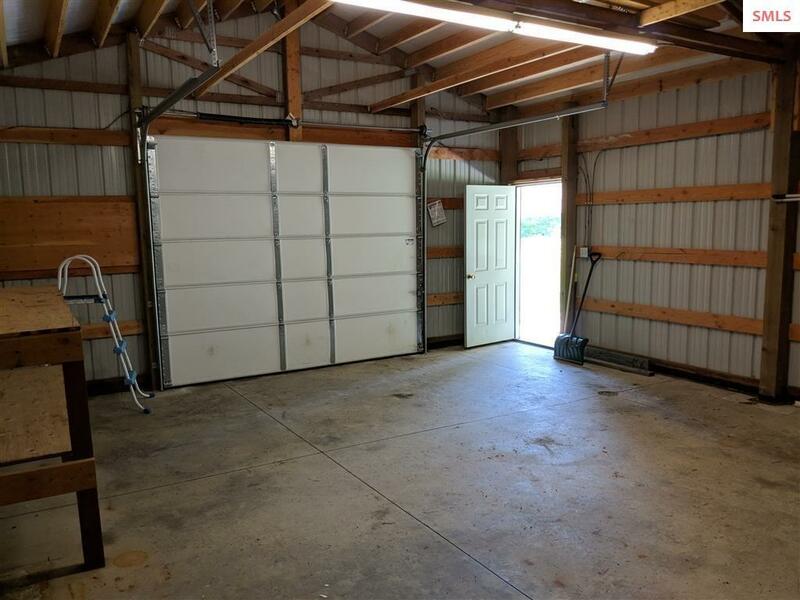 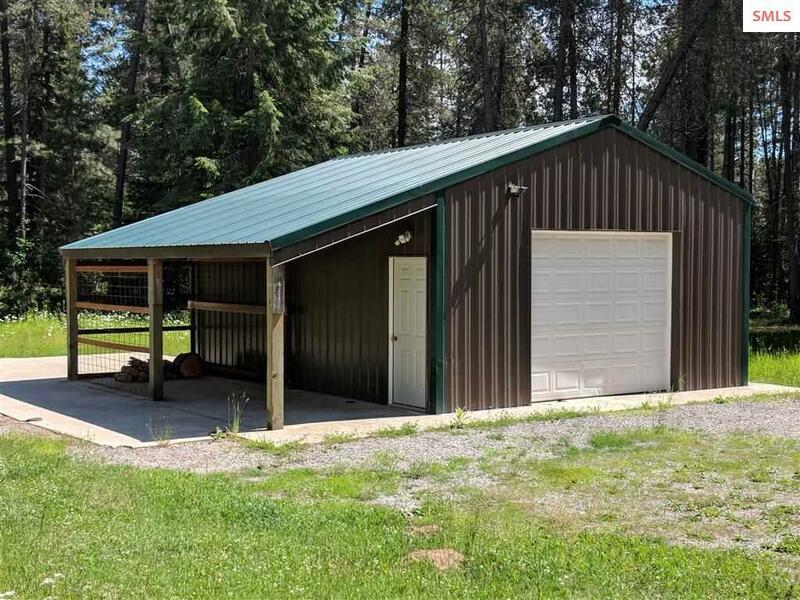 Matching log tool shed just across the driveway and a detached garage with workshop area. 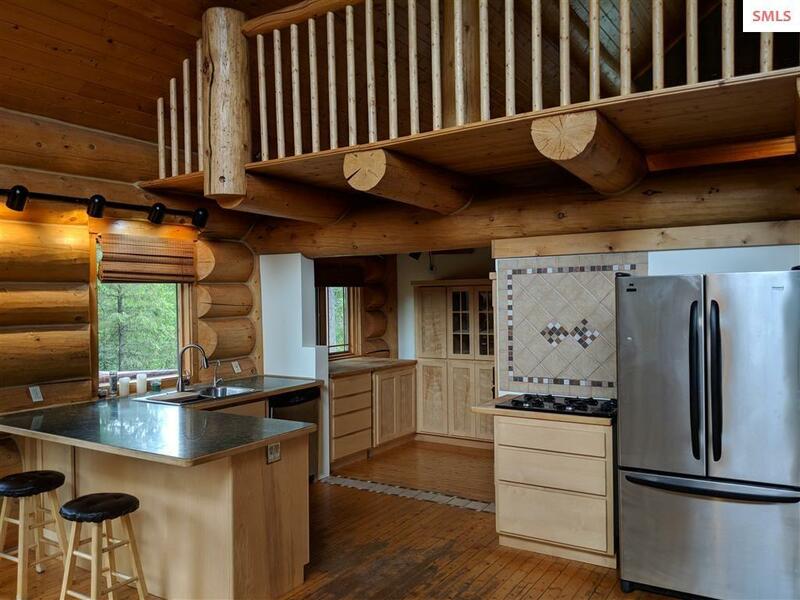 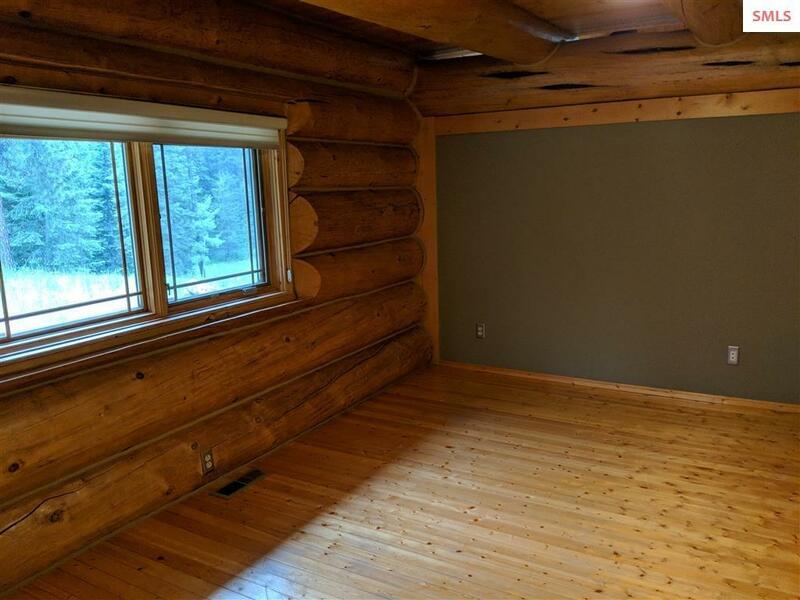 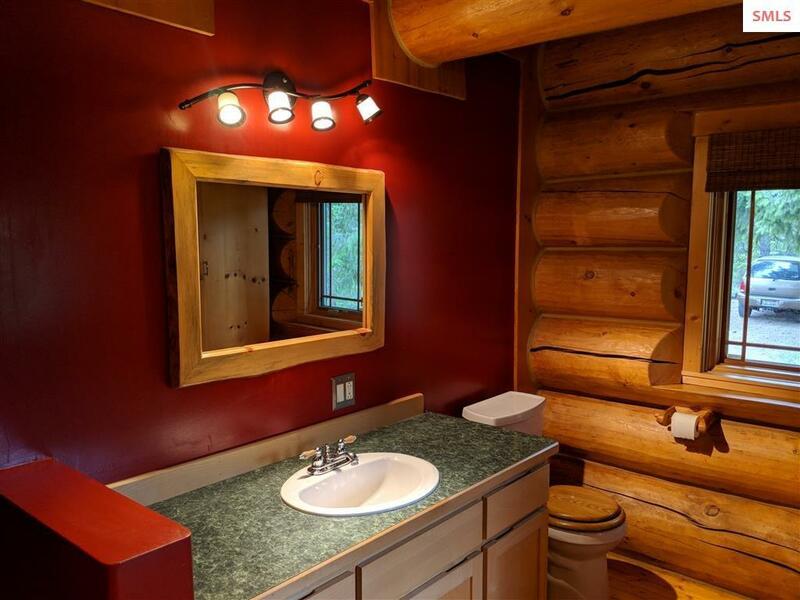 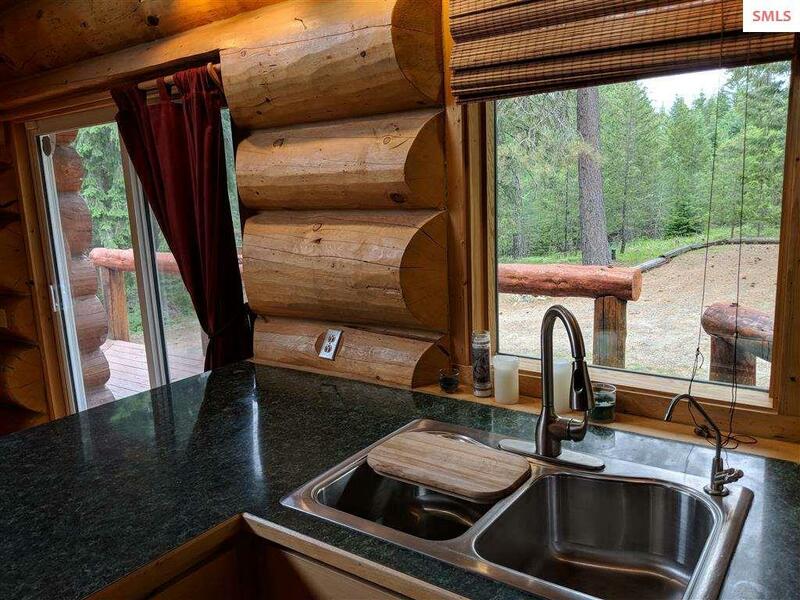 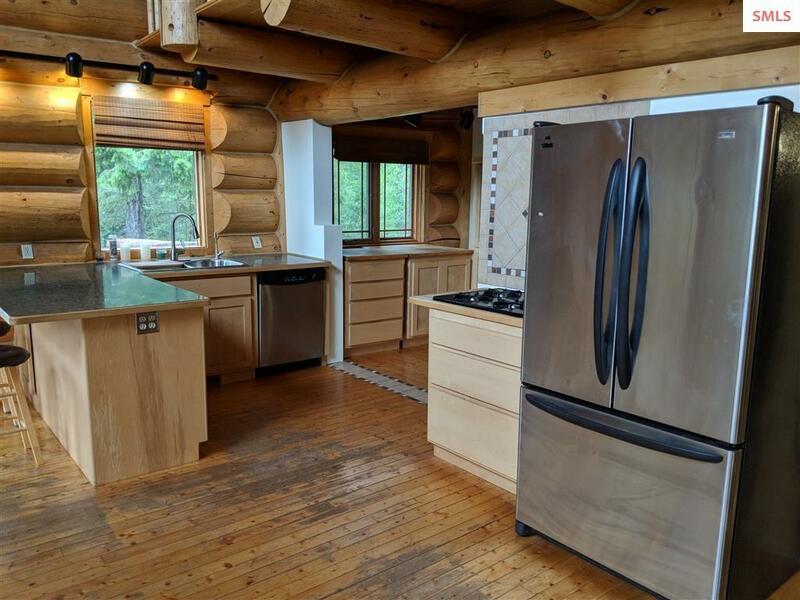 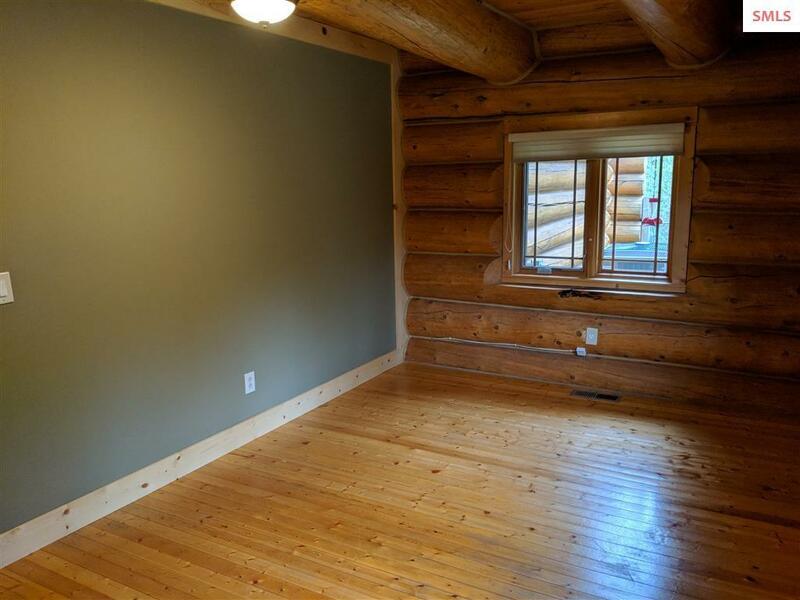 Special Log Home-Must See!